Every so often I will have a client in my office that is on the periphery of needing to file for bankruptcy. They are making no progress paying down their debt, but are still current and able to stay afloat. A question arises- what do you do if you see bankruptcy looming in the distance and want to protect your assets? The solution is exemption planning. As most people are aware, filing bankruptcy creates an estate. U.S. Courts define the bankruptcy estate as “all legal or equitable interests of the debtor in property at the time of the bankruptcy filing. (The estate includes all property in which the debtor has an interest, even if it is owned or held by another person. )” Essentially, when you file bankruptcy, an estate is created that takes legal control over all of your property. Nevertheless, Section 522 of the Bankruptcy Code allows bankruptcy debtors to “exempt” certain property from the bankruptcy estate. In the Chapter 7 context, a debtor is allowed to ‘exempt’ his/her property from being liquidated by the trustee. 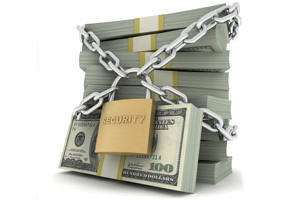 I.E.- exemptions are claimed in property that the debtor is allowed to keep through bankruptcy. Utah law outlines the exemptions that bankruptcy debtors are allowed to claim when filing bankruptcy in Utah. The obvious question is this: Should debtors be allowed to convert their non-exempt assets into exempt assets directly before filing for bankruptcy? A recent case in Idaho provides some guidance on the legal standards surrounding pre-bankruptcy exemption planning. Debtors James and Laura Thomas filed bankruptcy under Chapter 7 shortly after James was diagnosed with cancer and the debtors were unable to keep up with their debts. Shortly before filing bankruptcy (two weeks), the Thomas’ converted non-exempt property (non-exempt cash value in a life insurance policy) into an IRA, which, is apparently is completely exempt in Idaho. The Chapter 7 trustee objected to the debtors’ use of the exemption, essentially arguing that the debtors’ defrauded their creditors and should therefore not be allowed to reap the benefit of the exemption. The Bankruptcy Court overruled the trustee’s objection and allowed the debtors to exempt the two IRAs from the bankruptcy estate. “Indeed, where the only evidence presented is that nonexempt assets were “deliberately converted to exempt assets just prior to filing the bankruptcy petition,” such evidence is “insufficient as a matter of law to establish fraud.” Id. (quoting Wudrick v. Clements, 451 F.2d988, 990 (9th Cir. 1971)). In other words, debtors may maximize their exemptions, even when they do so shortly before the filing of a bankruptcy petition. See also House Report of Bankruptcy Reform Act of 1978, H.R.REP. NO. 95‐595, at 361 (1977), reprinted in 1978 U.S.C.C.A.N. 5963, 6317(“As under current law, the debtor will be permitted to convert nonexempt property into exempt property before filing a bankruptcy petition. The practice is not fraudulent as to creditors, and permits the debtor to make full use of the exemptions to which he is entitled under the law.”). Our office makes it a practice to engage our clients in legally allowed pre-bankruptcy exemption planning. We consider it our ethical obligation to advise and consult our clients on how best to protect their assets in the event they will be needing to seek bankruptcy protection. Creditors have millions of dollars, politicians, and an army of lawyers on their side. Make sure you have someone competent on yours.